Do you suffer from Arachnophobia? Do you suffer with a debilitating fear of spiders? Do you find your fear of spiders embarrassing? Does your fear of spiders impact your daily life? Have your efforts to confront your Arachnophobia failed? Difficulty going about daily activities such as cleaning the house, going outside, etc. Many people believe that simply exposing yourself to your object of fear will help you to overcome it. In fact, this technique, without the proper support, can lead to an increased intensity of the fear. Like all phobias, fear of spiders may be based on no previous trauma with the object, and can occur without any real danger being present. That is to say, many people who are afraid of spiders fear even the most benign and harmless arachnids. Some people who suffer from a fear of spiders are even unable to watch them on television, or even think about them, without suffering from a fear response. 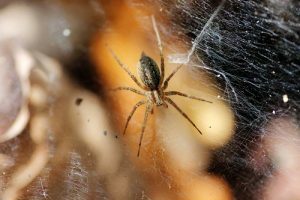 The reaction to a fear of spiders being triggered can be anything from a shiver, a sick feeling, an anxiousness or sleeplessness, and even a severe anxiety attack. Fear of spiders can become so severe that it takes over the sufferer’s life. Fortunately, fear of spiders is something that can be treated effectively and safely, with our Fear of Spiders Hypnotherapy program. Designed by professional who specialises in phobias, this program can help you to overcome this debilitating fear. Our Fear of Spiders Hypnotherapy program is incredibly successful, and has helped many people to overcome their fear. If you’d like to overcome your fear of spiders, once and for all, now is the time to get started with our Fear of Spiders Hypnotherapy program. 1. Explore the history behind your fear of spiders. CONNECT WITH US TODAY to find out more about our Fear of Spiders Hypnotherapy program, and discover how we can help you to overcome this fear, for good!